Hotels-New-Zealand is a group of independently owned and non-related hotels, motels and serviced apartments providing accommodation located across Taupo New Zealand. 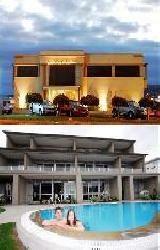 Hotels New Zealand allows you to deal directly with the hotels giving you the best possible rates for these Taupo hotels. Book your accommodation online directly with the hotels in Taupo and save !!! 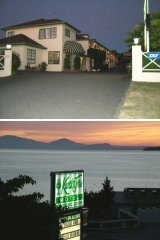 The Baywater Lakeview Motel offers lake front hotel accommodation in Taupo which is almost picture perfect. Baywater Lakeview Motel Taupo boasts a spectacular waterfront location complete with views that seem to last forever with mountains that inspire and a beautiful lake. 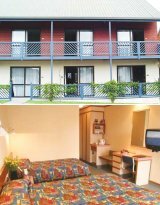 The Baywater Lakeview Motel provides all types of travellers with discount accommodation in Taupo. It also features a wide range of modern amenities and services such as direct internet access, faxing facilities, free car parking, massage, spa, outdoor swimming pool, tour desk, bbq, baby cots available and daily housekeeping. The friendly staff at the Baywater Motor Inn looks forward to greeting you and being a part of your special Taupo holiday. If you are looking for truly luxurious self contained apartment accommodation right on the shores of the beautiful Lake Taupo then the Reef Resort is the ideal place for your next holiday. The Reef Resort provides travellers with a wide selection of 5 star studio, 1, 2 & 3 bedroom serviced apartments that have been fitted out withe all of the luxury furnishings and modern decor that you would expect from such a quality resort. All of the apartments have balconies that boast magnificent views of the lake and provide visitors with discount accommodation in a great Taupo location. The Reef Resort Taupo also features a wide range of modern amenities and services such as direct internet access, free car parking, spa, outdoor swimming pool and daily housekeeping. Nearby activities to this property include the golf course, skiing, fishing, skydiving, bungy jumping, mountain biking, scenic walks, bird watching, boat hire, kayaking, shopping at the eclectic Taupo Shopping village, sailing excursions and a sunset cruise to the Maori Rock Carvings. The studio & 1 bedroom units at the Alpine Lake Motor Lodge Taupo provide travellers with very affordable accommodation that is close to the Taupo town centre and just 400 metres from the shores of the majestic Lake Taupo. The Alpine Lake Motor Lodge is the ideal base in Taupo whether you are staying for vacation, business or for one of many sporting and adventure activities. The Alpine Lake Motor Lodge is a leisurely stroll away from the lakefront, restaurants, bars, art galleries, shops and town centre. 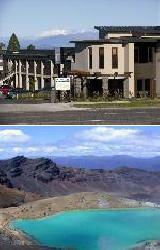 The Alpine Lake Motor Lodge provides all types of travellers with discount accommodation in Taupo. It also features a wide range of modern amenities and services such as business centre, child minding, direct internet access, disabled facilities, faxing facilities, free car parking, guest laundry, tour desk, bbq, baby cots available and daily housekeeping. Business facilities include FREE unlimited WiFi, FREE email cafe for guests travelling without a laptop, faxing facilities and photocopying services. Offering exceptional accommodation and services the Karaka Tree Motel Taupo is the ideal accommodation base for business as well as leisure travellers. Guests can enjoy the superb fresh water PRIVATE MINERAL HOT SPA POOL in every hotel room at this Qualmark 4 star motel. Situated within easy walking distance of many fine restaurants and a short drive to the unique shopping, restaurants and clubs in the Taupo city centre the Karaka Tree Motel offers fantastic value for money, excellent customer service and spacious Taupo accommodation. Set in attractive grounds directly across the road from Lake Taupo and with free car parking the comfortable Studio & 1 Bedroom Spa Suites feature a private courtyard area with your fabulous geothermal mineral water hot spa pool, kitchenette with microwave & tea/coffee facilities, Sky TV, Wireless Broadband internet and daily servicing. 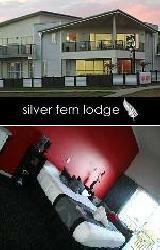 The Silver Fern Lodge provides all types of travellers with a choice of accommodation in Taupo. This comfortable and affordable property is ideally positioned in the heart of Taupo and has all of the in-rooms amenities to ensure that you have a trouble free stay. The Silver Fern Lodge Taupo also features a wide range of guest services such as disabled facilities, free car parking, guest laundry, tour desk, security, baby cots for hire, daily housekeeping, Global Gossip broadband internet cafe with wireless internet access and luggage storage. In fact the Silver Fern Lodge has just about everything that you will need to ensure that your holiday is both relaxing and memorable. The Colonial Lodge offers Luxury 4 star studio & 1 bedroom self catering spa apartments that are copnveniently positioned on the lakefront of stunning Lake Taupo. With modern, fresh and well designed apartments the Colonial Lodge ensures a comfortable and relaxing stay for short business trips, family get aways or a relaxing time out. The Colonial Lodge Motel features a wide range of modern amenities and services such as business centre, direct internet access, free car parking, guest laundry, massage, room service, spa, tour desk, airport shuttle, baby cots available and day spa. There are even further business facilities include faxing facilities and conference facilities. The Colonial Lodge Motel provides luxury accommodation at an affordable price in an absolutely stunning Lake Taupo location. The Base Taupo provides budget conscious travellers with the choice of backpacker hostel rooms as well as cheap hotels rooms. It is centrally located in the heart of Taupo, with stunning views of Lake Taupo and the surrounding mountains. The Base Taupo Backpacker Hostel is positioned only seconds from the lake front, with public transport, cafes & shops right on the doorstep. The Base Backpackers in Taupo also features a wide range of modern amenities and services such as lounge bar, direct internet access, faxing facilities, free car parking, lift, tour desk, bbq, security, 24 hour reception and daily housekeeping. There is even a communal TV lounge, a chill out lounge area, modern communal kitchen, dining and laundry facilities. The Lakeland Resort Hotel Taupo is set amidst the landscaped grounds and is one of taupo's premium hotel and conference venues. Winner of the 2001 Taupo Tourism Business of the year award and the Taupo accommodation business of the year. All of the accommodation rooms at the Lakeland Hotel Taupo have been fully refurbished and the hotel also provides guests with excellent facilities including an outdoor swimming pool, tennis court, 2 private indoor spa pools, guest laundry, 3 conference rooms, alfresco dining in the award winning restaurant and house bar and ample off street car parking. The Lakeland Resort Hotel is the perfect accommodation place from which to explore and experience the many activities that there are around Taupo. Taupo is one of New Zealand's most sought after holiday destinations in both summer and winter with New Zealand's largest inland lake extending all the way to the mountains in the south. The Baycrest Lodge is ideall situated within the heart of Taupo close to all of the shops, cafe's, restaurants and sports facilities. Visitors staying in this quality Taupo accommodation can go trout fishing or visit the magnificent beaches and mountains that provide a wide variety of activity. Guests staying at the Baycrest Lodge can choose from one room apartments, executive two room suites, luxury two bedroom apartments or superior three double bedroom penthouse apartments. This premium Taupo accommodation is located 100m from the lake edge with panoramic lake views, a swimming pool thermally heated to 35C, poolside bar and conservatory, barbecue, golf practice net, laundry, conference facilities and fishing, boating, skiing and golf arranged on request. 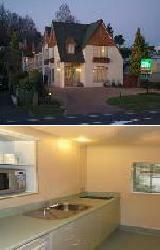 The Tui Oaks Motor Inn provides discount Taupo accommodation at great value for money rates. All of the well appointed studio and one bedroom apartment units include queen size bedding with electric blanket, heating, separate ensuite bathroom with shower, kitchenette, Sky TV, telephone, internet access, ironing facilities, hair dryer, guest laundry access and a cooked or continental breakfast delivered to your unit. This Taupo accommodation is non-smoking and is serviced daily. There is even complimentary storage for bikes and skiis during your stay at the Tui Oaks Motor Inn. With lake and mountain views, chargeback service from local restaurants, swimming pool, barbecue and being only a 300 metre walk to town the Tui Oaks Motel is the ideal Taupo accommodation for your next New Zealand holiday. Acapulco Motor Inn at Lake Taupo has a quiet location just off the Main highway and only a two minute stroll to the lake edge and five minutes walk to town and the delightful restaurants there. Acapulco Motel has a range of Taupo accommodation to suit family, friends and couples, from large two bedroom family motel units with spa baths to spa and standard studio units. The Acapulco Motor Inn is your ideal home away from home and a great Taupo accommodation from which to explore the entire region and all that it has to offer. The Acapulco Motor Inn features private spa pools, guest laundry, business services, wireless broadband internet kiosk, off-street car parking for cars and boats, conference room and also has a cafe and restaurants within 400 metres of the property. The Chelmswood Motel is a Tudor style Taupo accommodation located at the southern entrance to the city with beautiful views of Lake Taupo. Conveniently located on State Highway One which passes through Taupo on the way to either Auckland or Wellington the Chelmswood Motel is only one minute from shops, restaurants, cafes and bars. This Taupo accommodation complex sits on two acres of grass land with stunning views and is the perfect holiday destination for the whole family. While staying at the Chelmswood Motel guests can use the heated swimming pool, redwood sauna, large children's sandpit, grassed BBQ area and even keep in touch with the high speed wireless internet access. Superb lake and mountain views make the Suncourt Hotel and Conference Centre an ideal place in which to spend your next Taupo holiday. Situated only a short 2 minute walk to the town centre, boat harbour and Taupo lake as well as the many restaurants, cafes and shops that can be found in Taupo. The Suncourt Hotel is the ideal hotel accommodation for families because of the children's playground with trampoline, swimming pool with heated outdoor spa and baby sitting service. 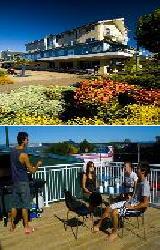 Discount hotel accommodation in Taupo, New Zealand. Situated jusrt metres from the shores of beautiful Lake Taupo, the Colonial Lodge Motel offers luxury Taupo accommodation in tastefully decorated studio or family apartment units. The Taupo city centre is only minutes away for shopping and restaurants. Alternatively you can just simply relax on the main beach which is directly opposite the Colonial Lodge Luxury Accommodation Taupo and enjoy the extensive views of the lake and nearby mountains. Every holiday apartment includes luxury features such as Queen size beds, double spa baths and TV with in-house videos and Sky TV. The Anchorage Resort Hotel is the perfect Taupo accommodation if you are looking for an affordable holiday in the North Island of New Zealand. The luxury 1, 2 and 3 bedroom family apartments come complete with full kitchen facilities, Queen or King size beds, Sky TV and even private spa baths in some apartments. The hotel facilities at the Anchorage Resort Motel Taupo include a heated swimming pool, sauna, spa pool, games room, kids play area, conference room and numerous restaurants located close by to this discount Taupo accommodation. The Ascot Motor Inn is one of Taupo's newest luxury accommodation complexes. Situated just 4 minutes walk from the edge of Lake Taupo and 8 minutes walk to the Taupo city centre the Ascot Hotel Taupo offers luxurious and peaceful, fully self contained apartment style accommodation away from the traffic noise, but yet conveniently close to the heart of Taupo. With lake and mountain views from most apartments, spa baths, daily servicing and large family sized 2 bedroom apartments available the Ascot Motor Inn Taupo is the perfect place to stay for your next New Zealand holiday. The Aspen Villas on Taupo is ideally positioned close to the town centre of Taupo with it's many fine dining restaurants, shops, cafes, clubs and bars. These new air-conditioned Taupo apartments offer spectacular lake views and feature King size beds, champagne spa bath, fully equippen kitchen, laundry facilities, Sky TV, undercover car and boat parking, an outdoor thermal swimming pool, spa and tour desk. 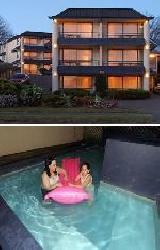 Great value for money Taupo accommodation for the whole family. Ideally located close to the Taupo town centre, numerous restaurants and only metres away from Lake Taupo and a safe swimming beach the Best Western Bay Court Hotel is the perfect Taupo accommodation for holiday makers and business travellers alike. With large in-room spa baths and fully equipped kitchens the Best Western Bay Court Motel will satisfy the needs of both the budget conscious and discerning traveller. The Baycrest Motor Lodge is the first Qualmark rated 5 star accommodation in Taupo. The Baycrest Lodge is located only 100 metres from the edge of Lake Taupo and close to the city centre as well. The extensive range of luxury hotel facilities at the Baycrest Motor Lodge Taupo include a thermally heated swimming pool with adjacent guest bar, hot thermal tubs or champagne spa baths in all apartments, golf driving range, private courtyards or verandahs, conference facilities and super king size executive apartments available for larger families. The features that sets the Baywater Apartments apart from the other Taupo accommodation available include the individually controlled air-conditioning and heating, large in-room spa baths, complete kitchen facilities, double glazed windows and your very own private balcony or patio from which you can enjoy the beautiful sunsets over Lake Taupo and the surrounding mountains. Other redeeming features of the Baywater Apartments Taupo include the heated swimming pool, free mountain bike hire and a wonderful location directly opposite the main swimming beach in Taupo. The Bella Vista Motel & Apartments provide holiday makers with the ideal Taupo accommodation if you are looking for fully self contained studio and 1 bedroom apartments at reasonable discount rates. All of the non smoking apartments are serviced daily and feature kitchen facilities, spa baths, heating, hair dryer and Sky TV. Ideally positioned only a short 500 metre walk from the Taupo city centre, restaurants, shops, cafes, bars and lake Taupo. Situated just off state highway one but still just 200 metres from Lake Taupo and 600 metres from the city centre the Catelli's Motel & Conference Centre is ideally positioned to take advantage of everything that Taupo has to offer. Guests who like the friendly hospitality of this quality Taupo accommodation will also enjoy the modern motel units with their private spa baths, full kitchen facilities and Sky TV. Families will also appreciate the children's playground, trampoline and BBQ area at the Catelli's Motel & Conference Centre Taupo. The lakeside studio and family apartments at the Cascades Motor Lodge Taupo provide guest with easy access to nearby restaurants, the lake and the beautiful swimming beach. This discount Taupo accommodation will ensire that your next holiday in Taupo is both relaxing and enjoyable with a range of resort style hotel facilities including a heated swimming pool, private patio gardens, guest laundry, BBQ area, trampoline, car and boat parking, tour desk and a fully equipped kitchen, spa bath and Sky TV in every apartment.